Maryland Pink and Green: Peacock Obsessions! I'm slightly obsessed with Jonathan Adler's lollipop peacock. Ok, I'm very obsessed with this unusual and fun piece. 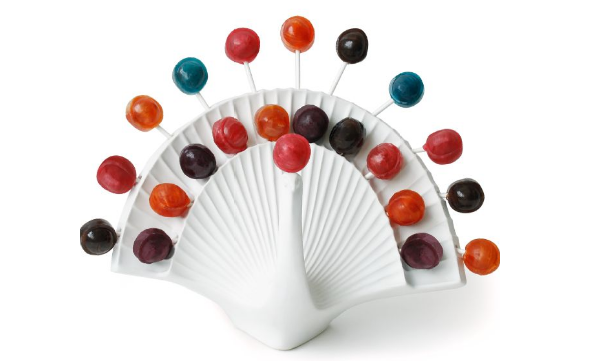 With space for 22 lollipops, this would be a gorgeous addition and centerpiece to any candy buffet table. So cute!! Even better than a gumdrop tree!